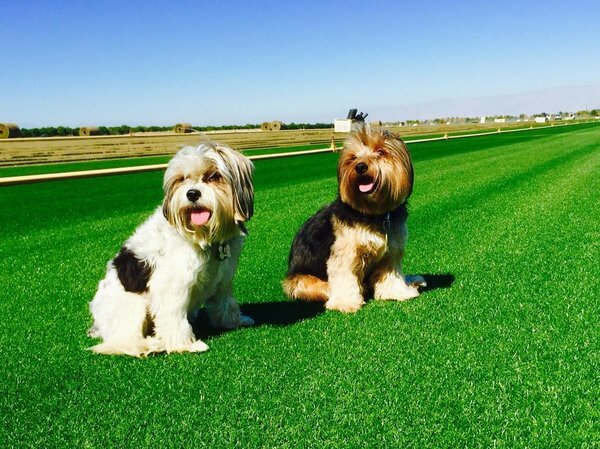 West Coast Turf/Western Sod is nationally recognized as a leader in the turfgrass industry with more than 30 varieties of natural turfgrass sod and stolons available from sod farms in California and Arizona. We provide turfgrass products to homeowners, landscape designers, contractors and major stadiums and attractions nationwide. Our healthy and mature sod is harvested at night and uniquely transported to bring fresh sod to Arizona customers each day. We provide our detailed Arizona Sod Installation Guide and also offer our professional sod installation crew for major projects. West Coast Turf/Western Sod has supplied and installed sod for clients including: Chase Field in Phoenix, PetCo Park in San Diego, Dodger Stadium in Los Angeles, Camelback Ranch training facility in Glendale, AZ, Salt River Fields at Talking Stick in Scottsdale, AZ, and many more major sports turf and other turfgrass using facilities. One of the main benefits of installing sod, is its ease of care and relatively short establishment time. Although initially sod needs extra care, as it becomes more established the watering and maintenance requirements become more relaxed. We provide detailed instructions in our Sod Watering Guidelines and Sod Maintenance Tip for Healthy Grass. Following these tips helps sod to grow deep roots, creating a hearty and drought tolerant lawn, necessary for the challenging Arizona climate. . Whether you are looking to immediately upgrade your home landscaping or you’re designing acres of green, West Coast Turf/Western Sod will provide the best sod for your project. We can custom grow your sod for your specifications with the latest growing technology, provide custom solutions for delivery and fast, expert installation as well. Contact us at 888-893-TURF (8873) or order sod online at www.westcoastturf.com.